Another Lower East Side institution, although not as old as Katz's, but right around the corner, is Rosario's Pizza. They make a great sauce and put fresh plum tomatoes and big slices of garlic on the top. Tis yummmmy. 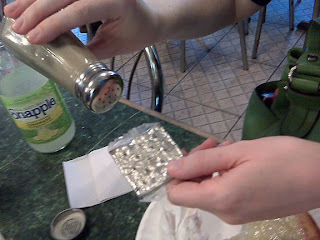 We were joined by cousin Say-rah who put garlic salt on the saltine. Mmmm.